Batiste Dry Shampoo comes in 2 sizes- 200ml and 500ml. It helps to revitalize my hair and remove any excess greasy. Frankly speaking, I really like the effect on my hair as it so lightweight in the hair and adds some volume to my hair. There's no sticky residue or buildup on my scalp and I can feel my hair is clean and fresh. My hair looks like I just finished blow drying it from a wash! 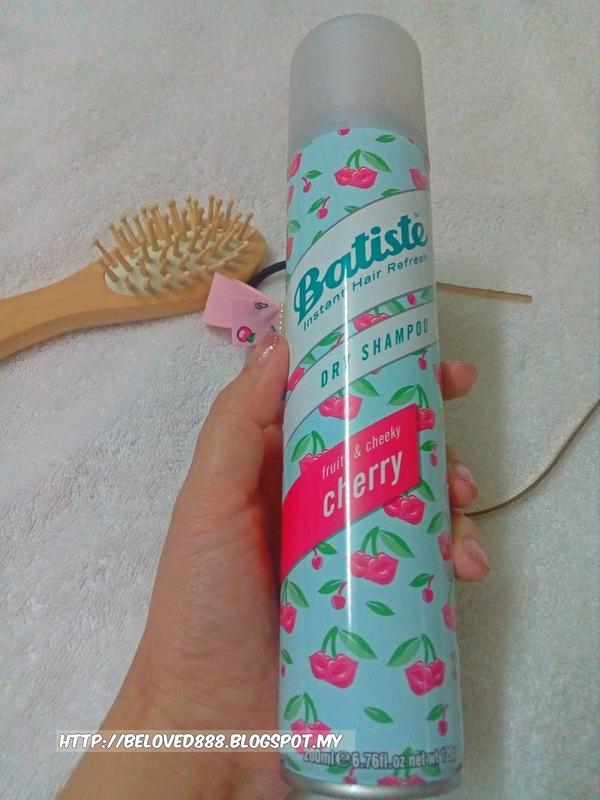 Bastiste Dry Shampoo is quick and easy to be used without involve any water. 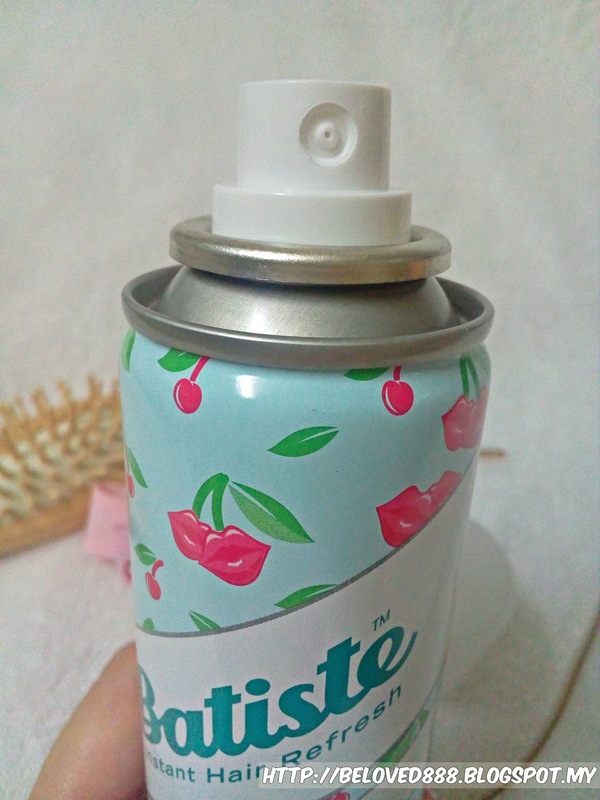 Additionally the smell of the Batiste dry shampoo is very nice and it comes with different fragrances. I love how it gives me different scent to choose from. How to use: Shake can vigorously, spray evenly over hair, massage into scalp with fingertips and let sit a few moments and brush out. Prevent spray directly to the hair scalp as our hair scalp is sensitive part. Ingredients : Butane, Isobutane, Oryza Sativa (Rice) Starch, Propane, Alcohol Denat, Parfume, Limonene, Linanool, Geranol, Benzyl Benzoate, Distearyldimonium, Cetrimonium Chloride. 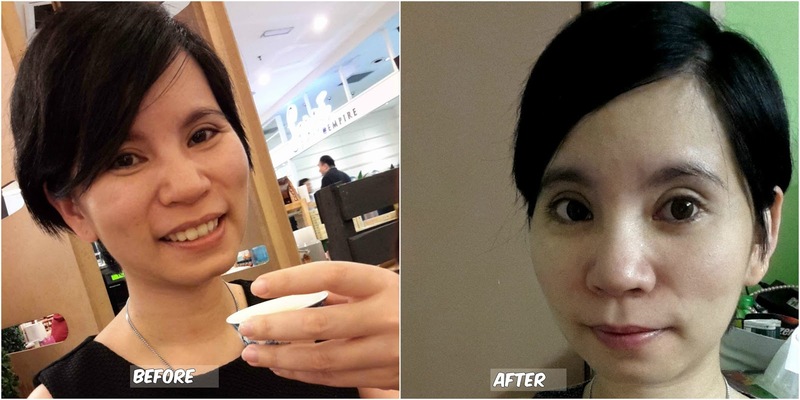 The obvious result after consume Batiste Dry shampoo for 1 weeks. My hair look more healthy, clean and more volume. Dislikes: When start spray on your hair, you will notice the white flakes. You might want use a towel to cover on your shoulder before spray.